I was contacted by a group of skydivers to create a disconnect system for an instrument package that is attached to a weather balloon. They needed to be able to send up a weather balloon before the jump and then have the instrument package dropped back to the ground after it had got the data they needed. 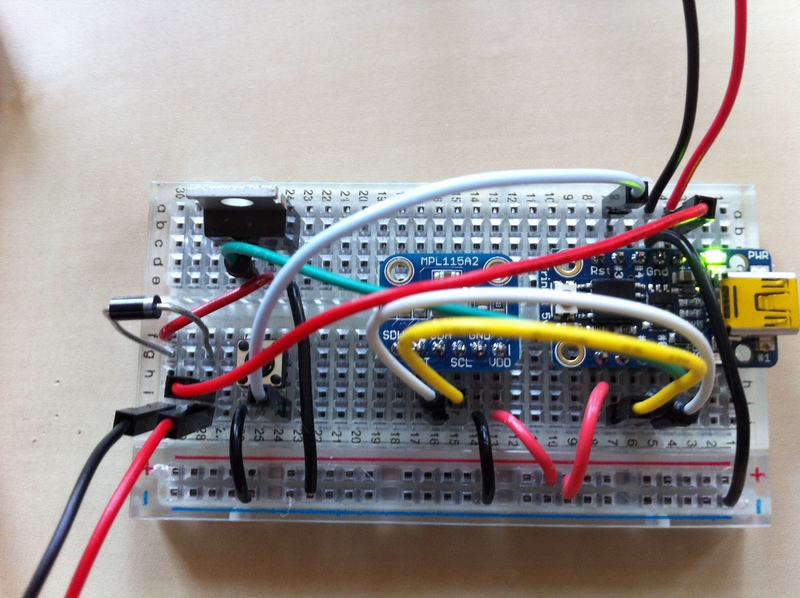 The system we originally prototyped was based around a Trinket microcontroller(ATTiny85). A simple push button sets desired disconnect altitude(each press equalling 5000 feet). 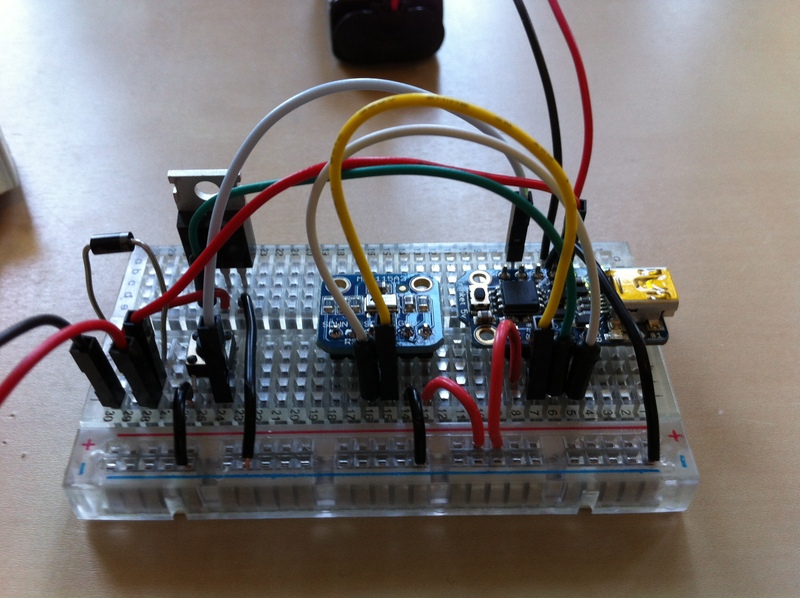 A barometric sensor(MPL115A2) sends the pressure reading via I2C to the ATTiny85 to calculate the current altitude. 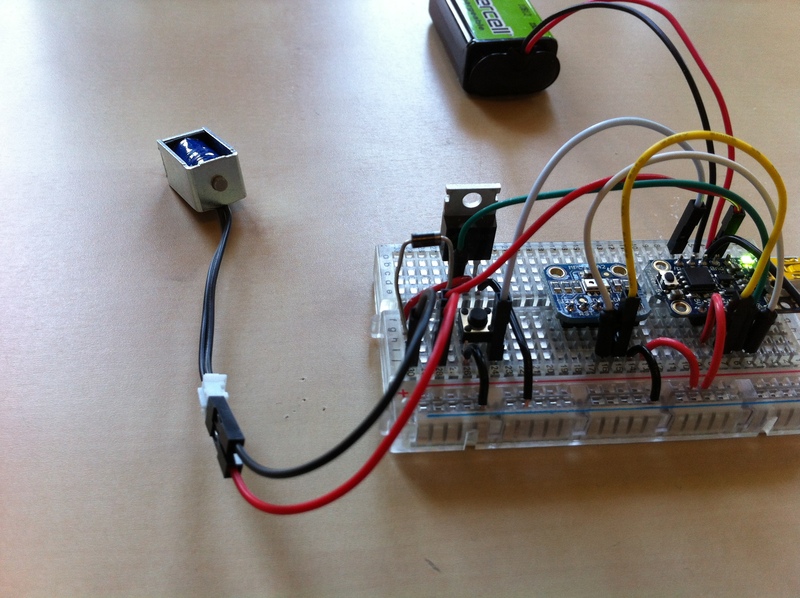 A 5V Solenoid is energized by ATTiny through a logic level MOSFET at the set altitude to release and drop the instrument package back to ground. After seeing problems with that release mechanism under the full weight, we changed it to heating a piece of nichrome wire to cut fishing line to release. Below are pictures of the original prototype. This group was great to work with even remotely. I sent them pictures and instructions of what I was doing on my side and they were able to recreate it on their side and do final testing/tweaking with an actual pressure simulation.